It’s the most popular social networking site online, so don’t be left out. Here’s what you need to know about using Facebook to promote your business. You can create a Facebook page for public promotion of your business. This should always be your first step after creating your account. Later, if you wish to facilitate discussion amongst members and loosely promote your organisation, consider creating a Facebook group. Adjust Your Privacy Settings. These determine who sees what. You can make information public, limit it to friends only etc. Hide Your Year of Birth. This adds a layer of security to your personal data. Update Your Bio. Ideally, tell your tale in a first-person, conversational tone. There’s also a “mini bio” section under your profile picture, where you can summarise your skills (“passionate advocate of cloud tech”, etc.) in 245 characters or less with links. Put in Your Best Photo. Go for a relaxed, informal – yet professional – look, cropped to your head and shoulders. Avoid group shots; if a potential contact doesn’t know you yet, he/she won’t know which one is you. And keep it recent – no more than three years old. Leave It Blank? If you wish to remain private about some area of your life, select the blank choice and your status won’t be shown at all. Save your Changes. Remember to click the blue save button in each section you edit. Each time you change any of this information a notice goes out to your friends in their News Feeds (unless you previously adjusted your privacy settings very tightly). Otherwise, your network of contacts won’t grow. Facebook allows you a maximum of 5,000, and you should make the most of this. For professional networking, proactively seek friends who may be influential people in your field and related industries. Consider media contacts, people you admire, potential collaborators, etc. Don’t overdo the outgoing friend requests in any one session. Facebook views this as potential spam, and you run the risk of having your account deactivated. Twenty requests is a safe number. Use the Friend Finder, invite friends by email, or join relevant groups and Facebook pages to find new people to add. When sending friend requests, add a personal message to remind the contacts of how you know or are connected to them. Make Friend Lists (Family, Buddies, Clients, etc.) to filter which of your friends see the content you publish. You can also add Facebook Pages to Friend Lists, to make it easier to read your News Feeds. Having one gives you the opportunity to build a community around your business, to discover more about your target audience, and to add a public face to your brand. Besides, everyone else is doing it. Select your Page Title and Category. Do this carefully – they can’t be changed once you set them. Represent. Upload and set up your logo as your profile graphic. Create a Customised Welcome Tab. This will be the first thing new visitors see when they visit your page. It’s your opportunity to speak right to your audience, get them involved, and guide their actions on your page. You Can Register a Unique Username (“vanity URL”). Once you have 25 “fans”. Add Applications. These make it easier for you to manage your page, and make your page an interactive and fun place for your fans. There are apps that let you create polls, add ecommerce (“online shopping”) functionality, set up blog feeds, use Facebook for teleconferences and meetings, etc. Use Facebook’s Marketplace Ads. These let you promote your page within Facebook with additional tools. Your Facebook page is tied to your personal profile as administrator. But only you and Facebook know this connection exists. You can have an unlimited number of fans (Users who “Like” your Facebook page). Facebook Pages are public. 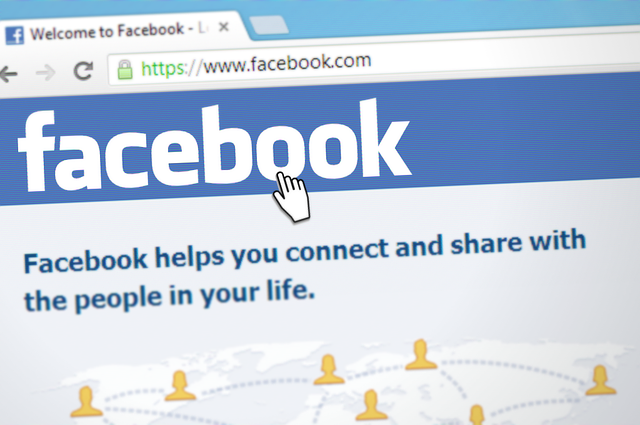 Anyone can find and view your page – whether they’re logged into Facebook or not. You can add additional admins (highly recommended if your organisation is large). All admins have equal rights to administer your page, including adding and removing other admins. So choose with care! You can’t post content on your Facebook page from your personal profile (unless you use an @ tag, and set that post as Public). Using Facebook to promote your business is pretty much mandatory these days. It is very straightforward to set up, but once you’ve done so you will need to maintain it, and ensure that there is a steady stream of fresh content continuously flowing through your site. You will find that users will engage with that content – leave comments, ask questions etc. – so make sure that you acknowledge all of them, as good customer relations through social networks can achieve a very high rate of conversions. If you manage all of your connections well, you can start to fully exploit Facebook as a networking platform, and begin to develop some lasting and great business relationships.